85 Page Report Details Thorough Investigation Into Amaya, Inc. When Amaya, Inc. recently announced that Pokerstars and Full Tilt Poker had been granted access to New Jersey's online gaming market, subject to certain conditions, they revealed that New Jersey's Division of Gaming Enforcement had conducted a comprehensive review that included sworn statements from dozens of company employees, trips to other jurisdictions and a thorough review of Amaya's operations. A report from New Jersey's Division of Gaming Enforcement, titled "Report By The Division of Gaming Enforcement Regarding the Investigation of Amaya, Inc.'s Acquisition of the Assets of Oldford Group Limited and PYR Software Limit D/B/A Pokerstars and FullTilt", was posted to NJ.gov earlier in the week. This 85-page report detailed the extent of the investigation into Amaya, Inc., as well as the histories of both Pokerstars and Full Tilt Poker. In order to gain access to the New Jersey online gaming market, Amaya, Inc. had to submit to a forensic review of their operations. This included record checks of subsidiary companies, interviews with company executives and a full analysis of the company's tax returns and corporate structure. 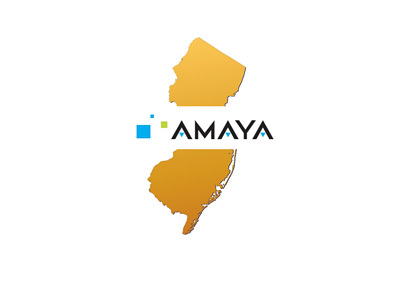 In short, the DGE left no stone unturned before they finally gave the conditional thumbs-up for Amaya's inclusion into the New Jersey online gaming market. The main concern that the DGE had when they started their analysis of Amaya's operations in the aftermath of their acquisition of Pokerstars and Full Tilt Poker - had the most significant owners and corporate operators of the previous Pokerstars regime been adequately separated from the new operation? The DGE, for instance, would never had approved Amaya, Inc. if there was even the slightest bit of involvement of the Scheinbergs. As a matter of fact, as a result of their investigation, New Jersey's Division of Gaming Enforcement identified four people that it said had to be terminated before they would grant Amaya the right to operate in their state. As mentioned, Amaya, Inc. said that they had been thoroughly investigated by the Division of Gaming Enforcement, and based on this report, they certainly weren't lying.